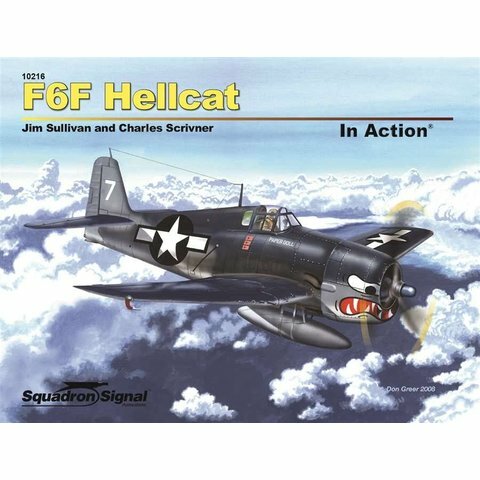 F6F Hellcat in Action. Book by Jim Sullivan and Charles Scrivner. Squadron Signal Books. Expanded Edition with more photos, updated content and 20 extra pages'. During World War II, the United States Navy needed a powerful fighter to counter the Japanese Zero. 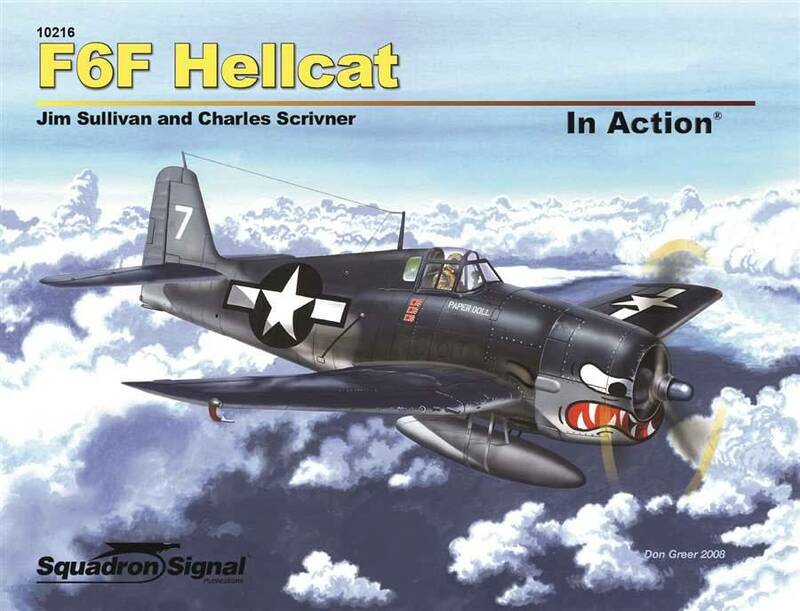 After their debut in combat in early 1943, Hellcats scored more than 5,000 confirmed kills with a 19-to-1 kill ratio. The folding-wing aircraft were capable of operating from carriers or land. Some were equipped with radar for night combat. The heavily-armed fighters could pack armament including six wing-mounted .50-caliber machine guns, 20mm cannons, wing-mounted rockets and a bomb rack. Flown by both the U.S. Navy and Marine Corps, the aircraft was also employed by the British Fleet Air Arm during World War II. France also made use of the aircraft after the war, employing it during the Indochina conflict in the early 1950s. In American service after the Second World War, remote-controlled versions of the aircraft were used to test atomic bomb blasts and as flying bombs. Illustrated with more than 200 photographs, color profiles, and detailed line drawings. 80 pages.